Happy Monday, lovelies! I hope you are enjoying this beautiful weather outside! 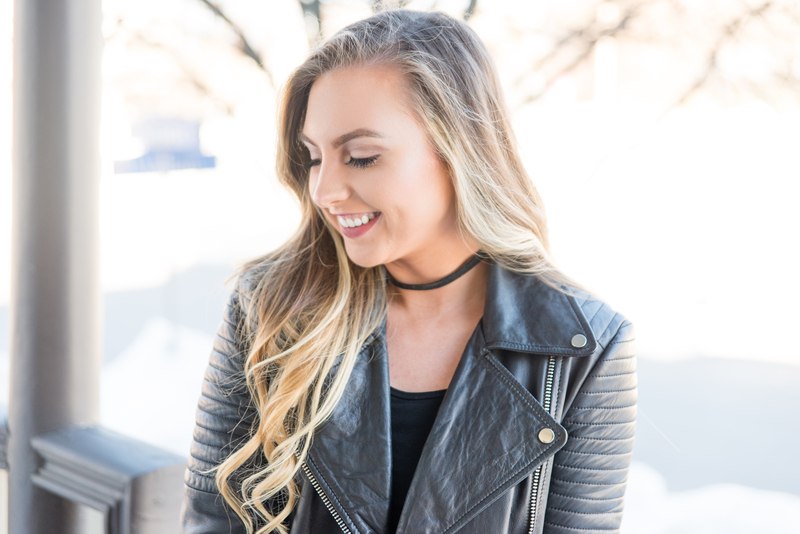 Today, I am back with another outfit post showing one of my favorite combos: leather and lace. One of my favorite things to do with fashion is put together unexpected combinations that compliment each other. Here, I’m channeling a badass biker chick with my moto jacket from Zara while keeping it on the feminine side with my lace skirt. The inspiration for this outfit probably came from my addiction to watching Sons of Anarchy on Netflix. (Thanks, Cody.) I wanted to pull off an “old lady” to the MC vibe while keeping my girly side in tact. Underneath the jacket, I wore a simple black long sleeve top from Elietian to keep the focus on the leather and lace contrast. I picked up this skirt from a thrift shop in Ithaca called Trader K’s. That place is always full of great finds and you may even find some higher-end pieces. If you are ever near the Ithaca Commons I definitely recommend checking it out. 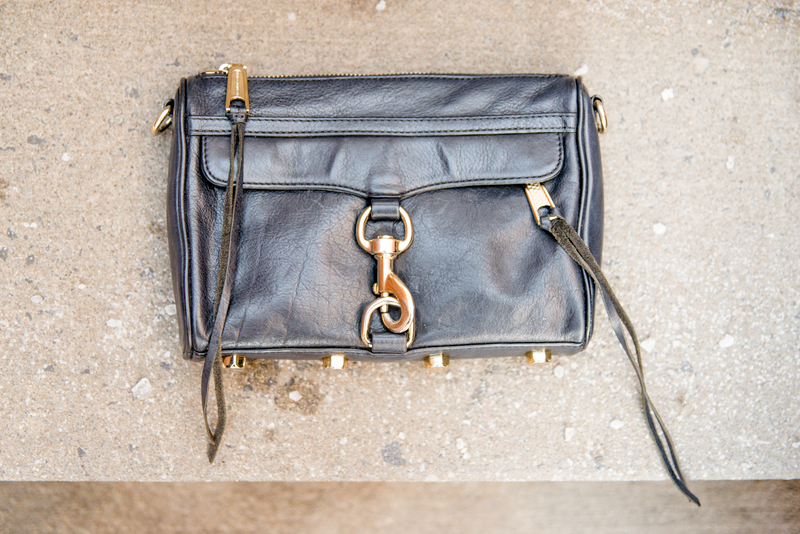 As accessories go, my Rebecca Minkoff Mini Mac went perfectly with this moto look. I purchased this bag quite a while ago and still use it constantly. I detached the strap to dress up the look a bit. Also, instead of picking up a crazy expensive choker from Urban Outfitters or wherever, I decided to check out Amazon and found this pack of six chokers in various colors for less than $10. The black one probably gets the most use, as seen here, but I do like the freedom to wear different colors with different outfits that I wouldn’t get from only picking up a black choker in a store for the same price. Finally, my sandals are from New York & Company and they are one of my favorites to wear in the summer. The look of the sandal is very flattering and makes your feet look long and narrow. AND THEY’RE ON SALE! So go pick them up before they’re gone! What’s your favorite fashion combination? Let me know in the comments below! Have an amazing week!